When you visit Osa’s beaches of Piro and Peje Perro for the first time, it feels like a scene straight out of a movie; you can picture a shipwreck landing on one of these beautiful, untouched beaches, and the tourists becoming surrounded by nature, calm, and beauty. The trees, the mist in the background, the birds in the sky, the breaking waves, and the opportunity to see incredible species like turtles and whales all make you think that you are in a dream or in a movie. Unfortunately, a return to reality confirms that, like many other beaches, these remote paradises suffer the presence of plastics. Plastics found on Peje Perro beach during sea turtle patrol. 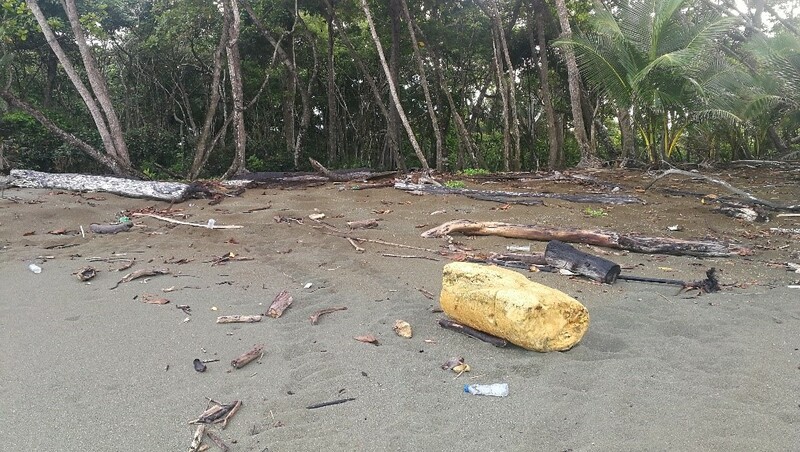 A large piece of foam found on Peje Perro beach. How is it possible that such an idyllic site has so much plastic? Yes, we already know that trash finds its way to the sea and, by currents, returns to the coast. But how have we arrived at this extreme, throwing 8 million tons of refuse into the oceans each year? To give you an idea, this amount of trash is equivalent in weight to 800 Eiffel towers. With these statistics, it is not surprising that five large trash islands have formed in the ocean. But what is surprising is the dimensions of only one of these islands in the Pacific is approximately 1.6 million km2, three time the area of France. Yes, you read that correctly: three times France! It’s hard to imagine, but you don’t have to think too much about the data to recognize the magnitude of the problem. 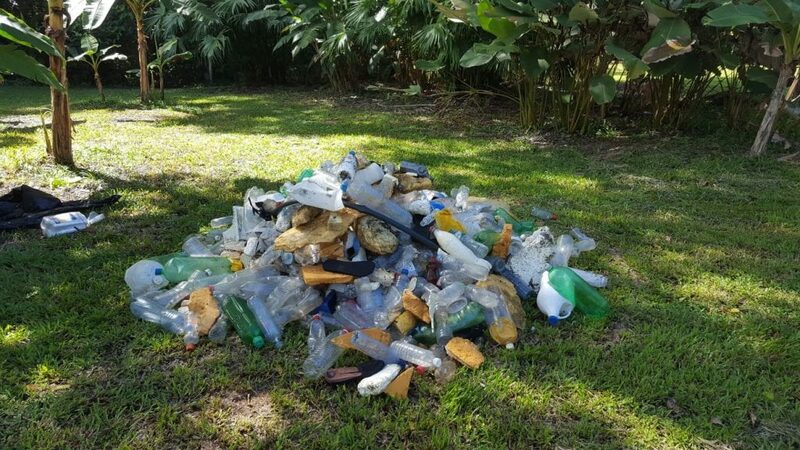 The amount of plastic collected in 5 hours by the sea turtle research assistants. Thus, Osa Conservation is dedicated to keeping Osa’s beaches pristine, while finding ways to tackle the larger plastics problem. 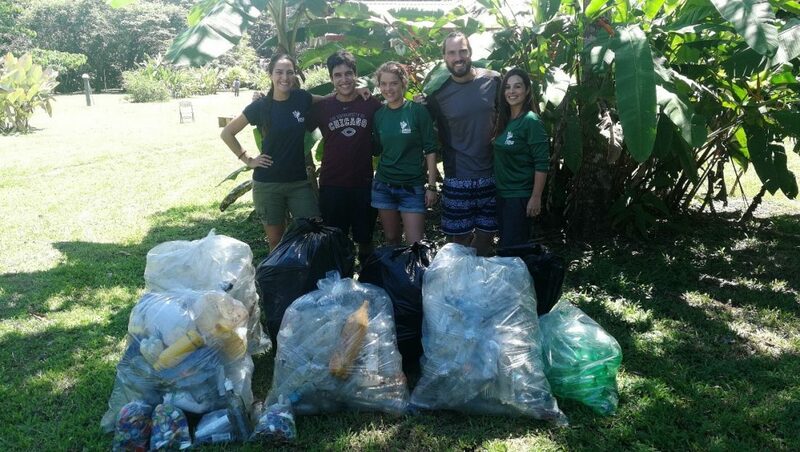 As part of a recent beach clean-up, three members of our sea turtle conservation team collected close to eight 100 liter bags of trash…in only a few hours! 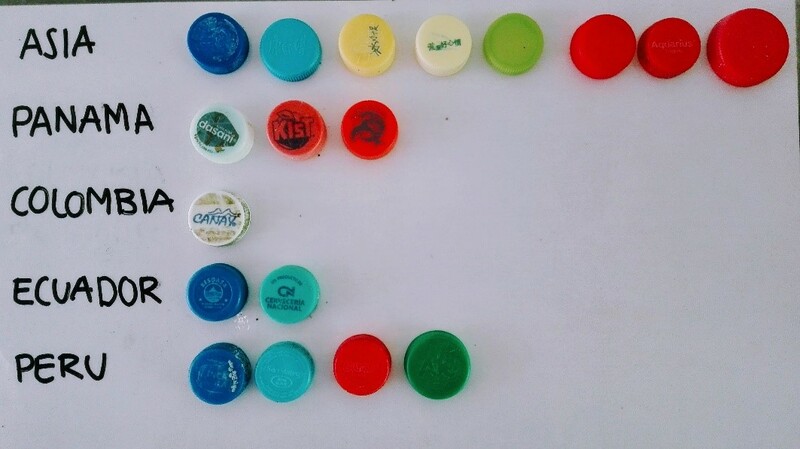 On separating the different types of refuse for recycling, we decided to analyze the labels and caps of the collected plastic bottles, and found that the majority of these plastics came from Asia. Members of the marine program and Rios Saludables program separating different plastics for later recycling. Results of analyzing the origin of the caps and labels of the found bottles. Photo: Mónica Espinoza. 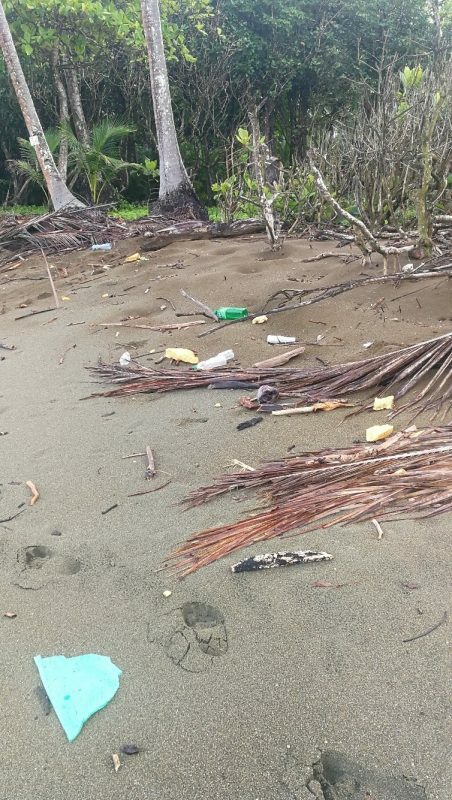 Seeing all that trash in a place like Playa Piro or Peje Perro, I start to wonder if it’s true that there will be more plastics than fish in the ocean by 2050. Imagine having an ocean completely filled with trash. No thank you! The good news is that if we use all our effort, there is still time to make a change, and there are already measures that have been taken in this regard. 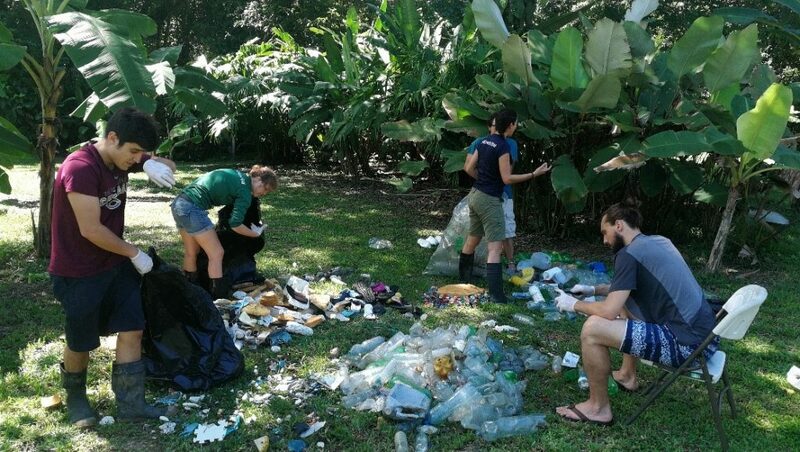 In fact, the Osa region has been a pioneer in Costa Rica in eliminating plastic from its properties, and on the national level, all single-use plastics will be prohibited by 2021. Small daily gestures—like bringing your own bag to the supermarket, not using straws or disposable silverware, using reusable water bottles, and avoiding single use containers—will make a huge impact. Members of the Marine Program and the Rios Saludables Program. Note: For those who are skeptical, or just curious, we invite you to read this study by Jambeck and collaborators in 2015, as well as the work done by Lebreton and collaborators that was recently published in Scientific Reports.